Nairobi (AFP) - The dumping of plastic waste into the world's oceans is causing at least $13 billion a year of damage, threatening marine life, tourism and fisheries, the United Nations warned Monday at the launch of a global environment conference. 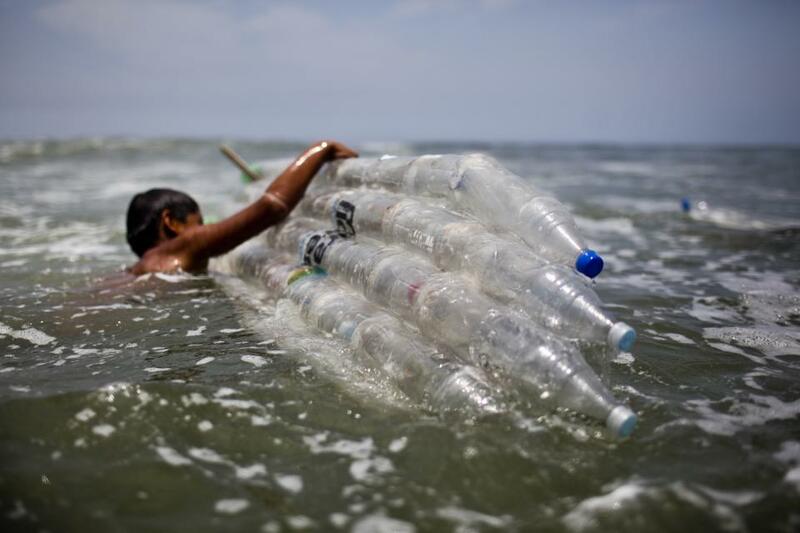 "Plastics have come to play a crucial role in modern life, but the environmental impacts of the way we use them cannot be ignored," said UN Environment Programme (UNEP) chief Achim Steiner said. "The key course of action is to prevent plastic debris from entering the environment in the first place, which translates into a single powerful objective: reduce, reuse, recycle." Scientists have found tiny plastic fragments trapped in sea ice in polar regions, while plastic waste has killed marine life, whether it be eaten by sea creatures such as turtles, tangled up dolphins and whales, or caused "damage to critical habitats such as coral reefs," the report read. "There are also concerns about chemical contamination, invasive species spread by plastic fragments, and economic damage to the fishing and tourism industries in many countries—by, for example, fouling fishing equipment and polluting beaches," it added. 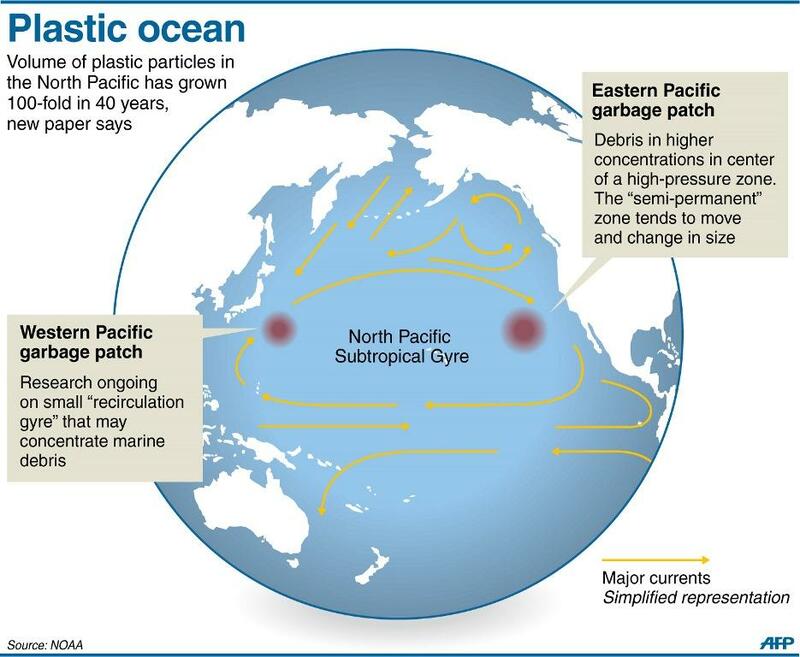 While much of the plastic waste ends up in vast mid-ocean rubbish patches where marine currents converge, micro-plastics -- tiny fragments less than five millimetres in diameter -- have had a growing impact that is particularly worrying, UNEP said. "Their ingestion has been widely reported in marine organisms, including seabirds, fish, mussels, worms and zooplankton," the report added. "Transported by ocean currents across great distances, these contaminated particles eventually become a source of chemicals in our food," Steiner added. Some of the tiny fragments are caused by the breakdown of plastics, but one emerging issue is the increasing use of directly created "micro beads" of plastic in toothpaste, gels and facial cleansers. "These micro plastics tend not to be filtered out during sewage treatment, but are released directly into rivers, lakes and the ocean," the report added. Companies should take responsibility, with experts arguing they could also boost their business savings through greater recycling efforts. "The research unveils the need for companies to consider their plastic footprint, just as they do for carbon, water and forestry," said Andrew Russell, chief of the Plastic Disclosure Project, a UNEP backed organisation. The UNEP report was released at its headquarters in Kenya as it opened its first week-long conference bringing together over 1,200 delegates and experts to discuss a raft of environment challenges. The UNEP conference runs until Friday, tackling a range of subjects including sustainable consumption and production, and financing the "green economy". It will also examine the illegal trade in wildlife and environmental rule of law. The conference comes amid tight security in the Kenyan capital, after a series of warnings of the threat of attack by Somalia's Al-Qaeda-linked Shebab.